Roy "The Boy" Brindley is well-known for his regular poker-playing successes and prolific writing and broadcasting output. UK Poker News writer, Tony Bromham, this week caught up with him for a chat and found Roy in outspoken form! Read Part 1 of a riveting 2-part interview. Unknown at the start of 2002 and the winning-most tournament player of the year by the end of it, that's 36-year-old Roy 'The Boy' Brindley. The Irish-based Englishman did not stop there however, having landed another nine tournaments around Europe since. Amazingly, with the exception of Walsall, he was won a festival tournament in every UK casino he has played in but retains his appetite for success despite a hectic schedule that now includes poker broadcasting and journalism. Last year, with tournament excursions, commentary work and PR, he took more than 70 flights whilst paying in excess of &euro;2,000 in airport car parking fees. Roy is candidly frank about his past, which includes a spell living rough on the streets, an experience he says he uses to his advantage at the tables. Similarly, he is not coy about the fact a "major win" is missing from his CV, something he is "keen to rectify" but rightly points out that a number of major event winners have achieved nothing before or since their big pay-day. His background features greyhound racing heavily and he holds the distinction of becoming the youngest ever licensed greyhound trainer. But, after a decade of training both in the UK and America, going on to write for the Racing Post's Greyhound Desk and then setting up and editing his own magazine on the subject, he took up poker as his profession mid-way through 2002. Keen to highlight the "amazing support" of his girlfriend Mags Manton, who is card room manager in Dublin's Merrion Casino, Roy hopes to achieve a life changing result "sooner rather than later" in order to "repay her fantastic faith and belief she has in me." Hello Roy, thank you very much for sparing some time to talk to me. What are you doing currently in poker and what have you got lined up over the next few months? I seem to have become more of a writer than poker player these past few months. Numerous new poker publications are in the pipeline and I've been approached to write for most of them. It's nice to be wanted. The Sun Newspaper, which simply has a monstrous circulation, has recently given me a column and, with its readership in the millions, compounded to an existing column in the Daily Record (Scotland's biggest selling publication), I'm hoping it will assist in poker's much-needed general acceptability amongst the general public. My website, www.roytheboy.net looks like something that's been made on a kitchen table - which is the case - that took up a bit of time but was fun. Then there is the World Series fifth-placed finisher, Andrew Black, who I'm now managing and promoting. Oh, as for playing... Barcelona's festival, is followed by Dublin, Amsterdam and then there's Helsinki to finish off the year. You were in Las Vegas for the WSOP recently. How did you find the whole experience, both as a player and as a spectacle? As a venue the Rio possessed the personality of an aircraft hanger. The place was a rip-off. $10 off a $26 buffet was what your registration fee got you and considering the 'juice' for WSOP main event players was $600 it was a disgrace. Furthermore, the buffet was a 15 minute walk away and you had to tackle a 25 minute queue when getting there. Quite simply, players never had time to enjoy their $10 concession. Of course you could have used the fast food bar outside the main hall (concession ticket not valid here) if you fancied paying $4.50 for Coke or $6.50 for a rotten piece of Pizza. One bathroom for 2,000 players? A non-stop PA system, blurting out seat availability in cash games, drowned out most players' ability to think straight. European players were given no help or advice on their right to NOT pay tax on their winnings - well, some were given help to avoid paying the 30% deduction but only in return for a bribe - the list of complaints is justifiably endless. The World Series Tournaments with entry fees between $1,000 and $2,500 offered nothing like enough chips for a starting stack. Quite simply, in these competitions, you surrendered all chance if losing your first confrontation. The unbelievable attrition rate in the early levels of these events underlines that sentiment. Most days I ended up playing in the Palms or Bellagio Casinos. The former was friendly with good structures. The latter, following an absurd ruling and the management's policy of refusing to allow more than four minutes to discuss deals (involving anything upward of $70,000), eventually left me dismayed and disillusioned with the place. Before the WSOP, you met with success in Lithuania in April playing the Tony G Invitational Festival, going on to take 1st place at the Main Event. Do you enjoy travelling to these more unusual poker locations around Europe and elsewhere that are now opening up to the poker world? I love travelling and always try to taste the culture of cities whilst visiting the attractions at overseas venues. In fact, I'll include Dundee in that list if I may as it is a beautiful place and I cannot understand the language! I know several players that travel far and wide yet do no more than walk from their hotel to the casino and take a taxi ride to and from the airport. They are missing out on so much. Sadly for me, I've made a decision to play far less of these smaller venues in future as the sums simply don't add up. Would you say the standard of poker from the locals in these newer locations differs from those you come across in the UK? How cash players make a living in some continental European venues is beyond me as the rake is simply highway robbery. There is more cash action in most venues than tournaments and, as I don't sit in many cash games when on my travels, I could not give a decisive answer to your question. I'm on record as saying that the standard of Cash Game Omaha in Dublin is the best around. Pretty much no other cash game is played there and that's been the case for well over a decade. I firmly believe six of the top-ten Omaha players in the world are based there. If I were to list these players you would fall around laughing claiming to have never heard of any of them ...which is the anonymity real [professional] cash game players, and not egotistical tournaments players, actually enjoy. 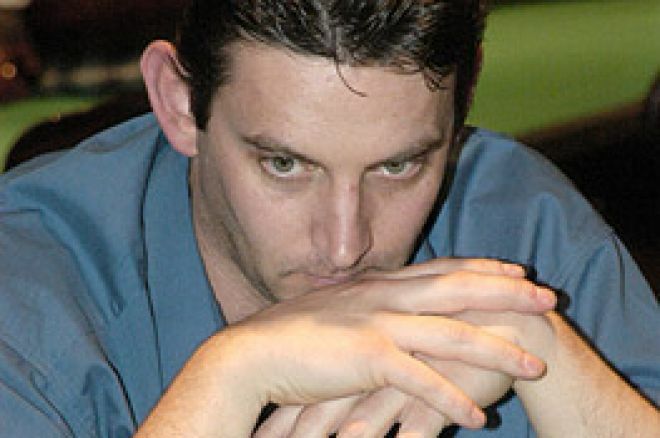 The second part of this fascinating insight into the poker world of Roy Brindley will be published very soon, including Roy's views on sponsorships and some of his scrapes with those he has berated during his TV commentaries, and more besides!